Whether you’re on your way to a meeting or you’d like to embark on a sightseeing tour, the Piper PA44 Seminole can suit your flying needs. This aircraft is made for short flying distances, so if you’re coming from Toronto you can fly as far as Manitoba or Arkansas, USA. This practical, small prop plane is also a fit for no-fuss flyers. Thus if you’re in a rush to run for a meeting, an on-call Piper PA44 Seminole would be quite useful. While you’re in an hour-long flight or so, you can also take the time to enjoy the plane’s aerial sceneries. Get awed by mountains, landscapes and towns, so by the time you hop off the jet, you’ll feel ever more refreshed from the tour. Most private jets include WiFi as part of their standard services. This way, passengers may still stay connected with their friends, family and professional networks while flying. Be sure to inquire about the specific features of your operator, to make the most of your enjoyable ride. Know more about the Piper PA44 Seminole’s specifications and book your very own private flight today. As a touring and commuter jet, the Piper PA44 Seminole has comfy seats along with sufficiently sized windows on each side. These basic and practical features actually make rides on the aircraft quite fun. Instead of having to wait on traffic jams en route to your intended venue, you can travel within minutes and enjoy the views while flying. Since this aircraft is built for short flights, it skips out on the luggage compartment. Thus, all you’ll have to do is hop on a ride with your friends and enjoy a fuss-free ride. 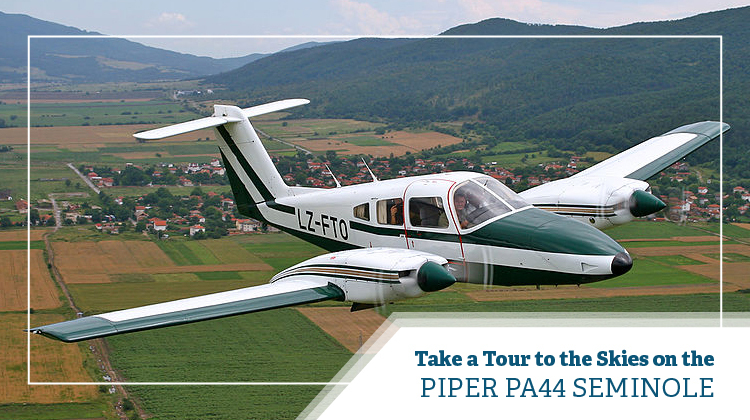 As you ride on the Piper PA44 Seminole, you’ll find it has quite a stable speed. This way, you can take some time to marvel at the sceneries which you’ll be flying over. While this short-haul aircraft may not exactly have a baggage compartment, you may inquire whether your bags may be placed on the passenger seats. This may be applicable when you’re the only passenger who’ll be hopping on the plane. If you will also be maxing out the flying range of this aircraft, it would be best to ask the plane’s allowable weight load for your trip. Generally, a lighter aircraft can fly its passenger/s to farther destinations. 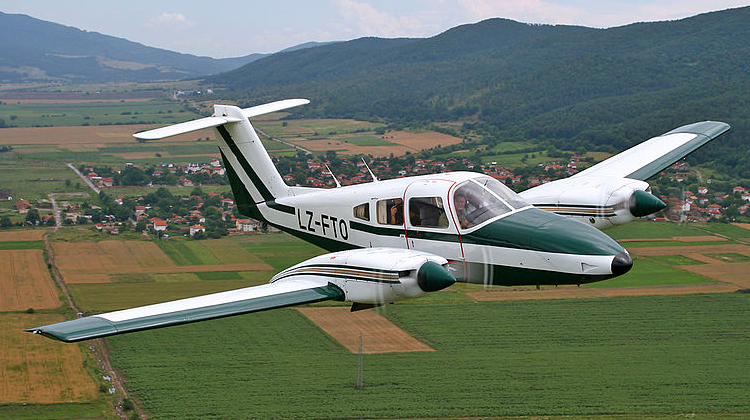 First flown in 1978, the Piper PA44 Seminole was developed with the Piper Cherokee as its aircraft of reference. The Seminole is particularly powered with two engines, while the Cherokee had one. Some of the Seminole’s counterpart aircraft include the Beechcraft Duchess and the Gulfstream American GA-7 Cougar. This aircraft had batches of production starting from the late 70s, and then the late 80s. Today, this plane is still being widely flown for sightseeing and air-charter-related purposes.